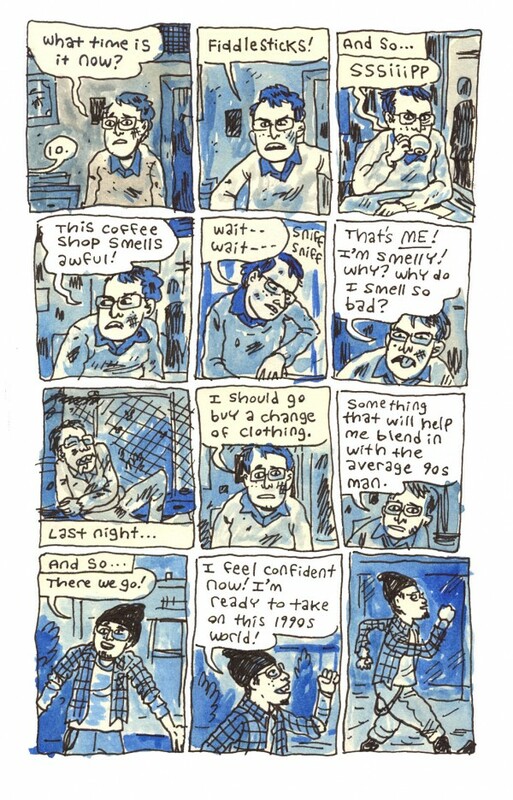 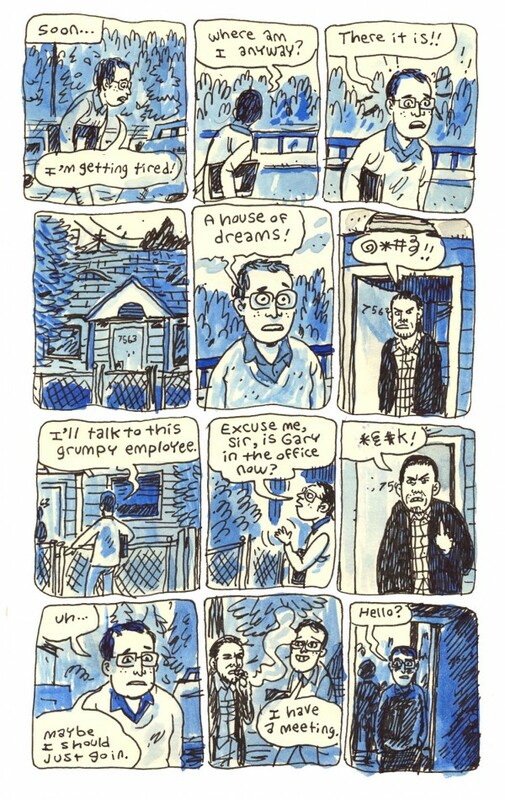 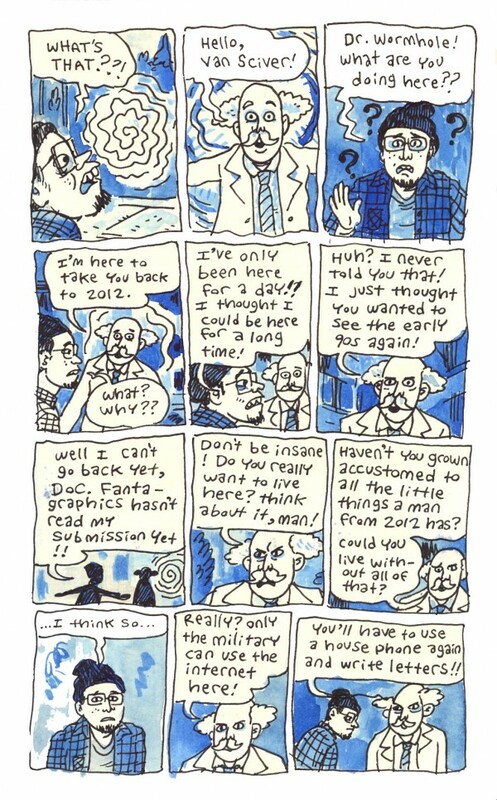 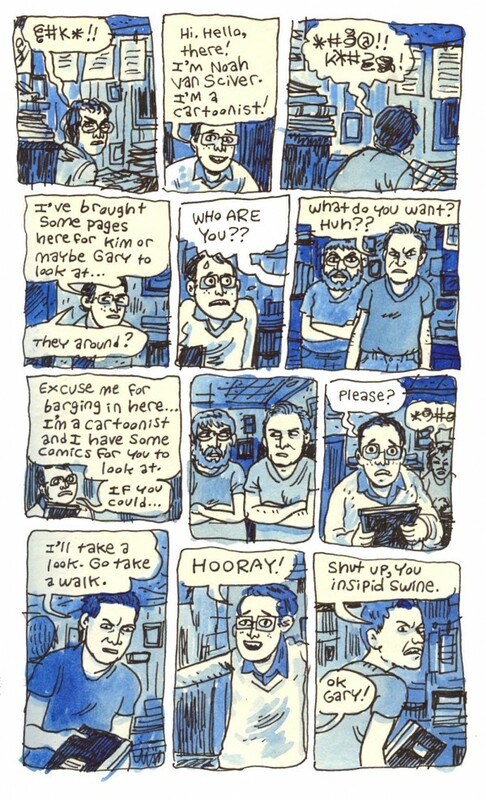 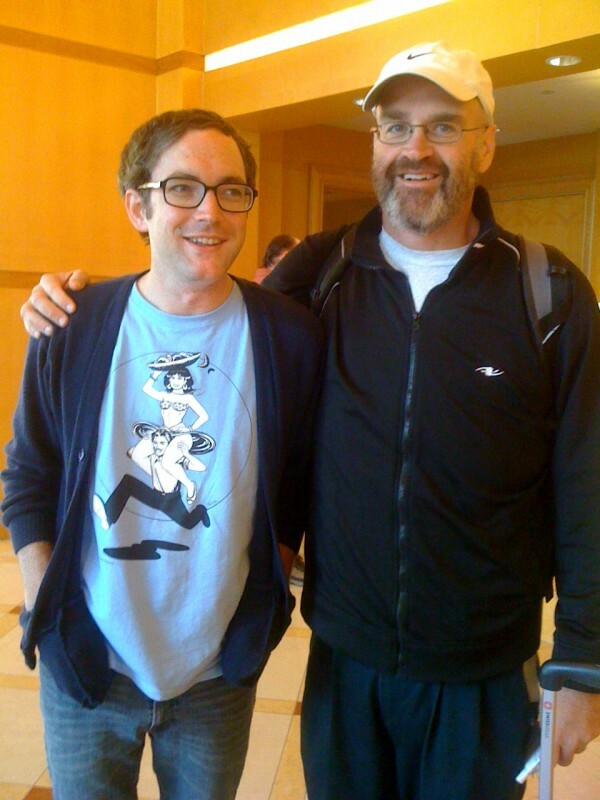 The cartoonist Noah Van Sciver started posting the following comic page by page to his Facebook page about a month ago or so. 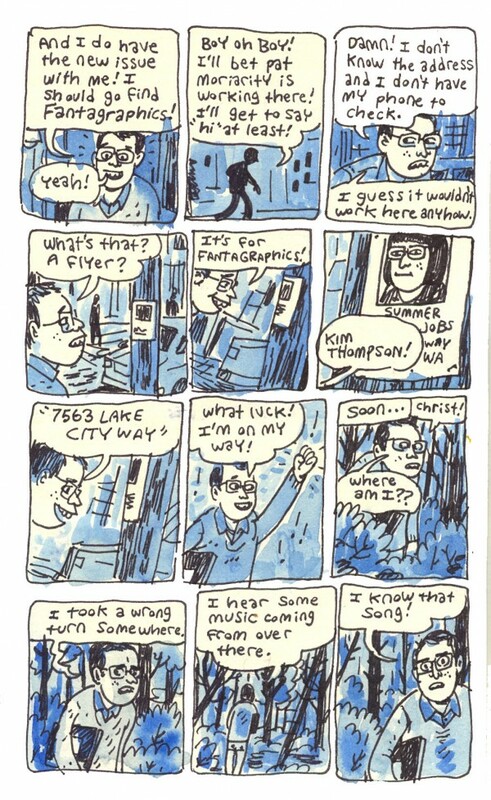 I thought it was funny and the Seattle setting was close enough to my heart -- I would arrive on the scene about six months after the period depicted here -- that I inquired about putting it up on my site on December 16. 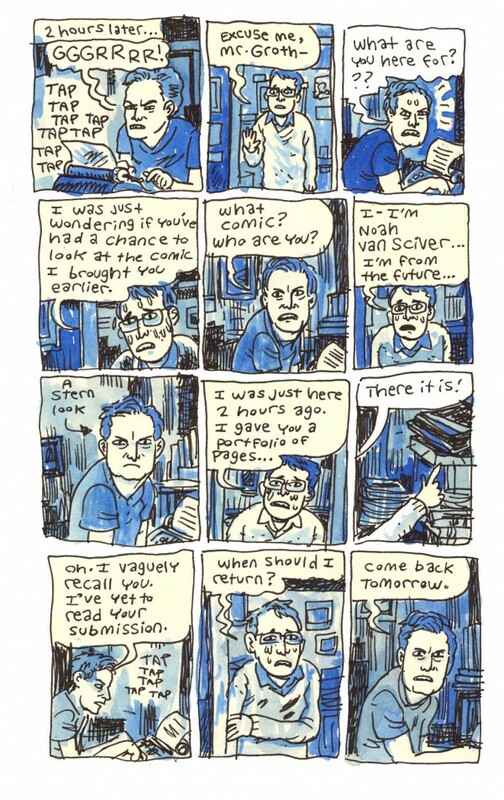 Mr. Van Sciver complied. 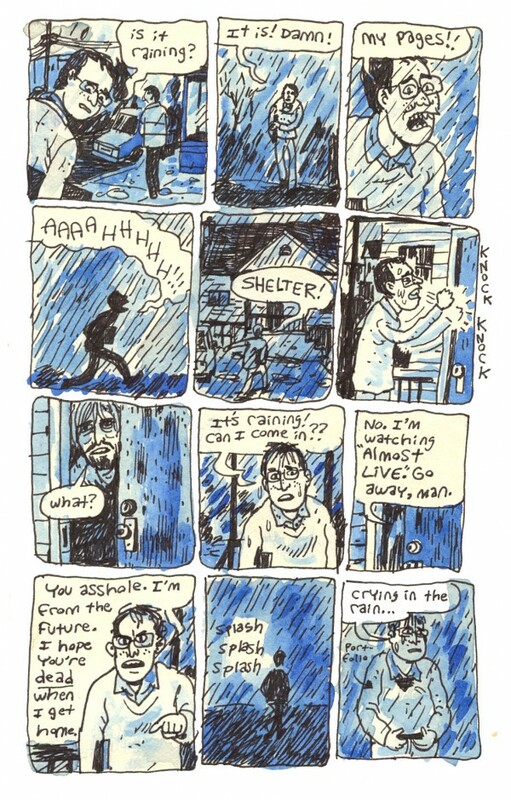 I like the comic quite a bit. 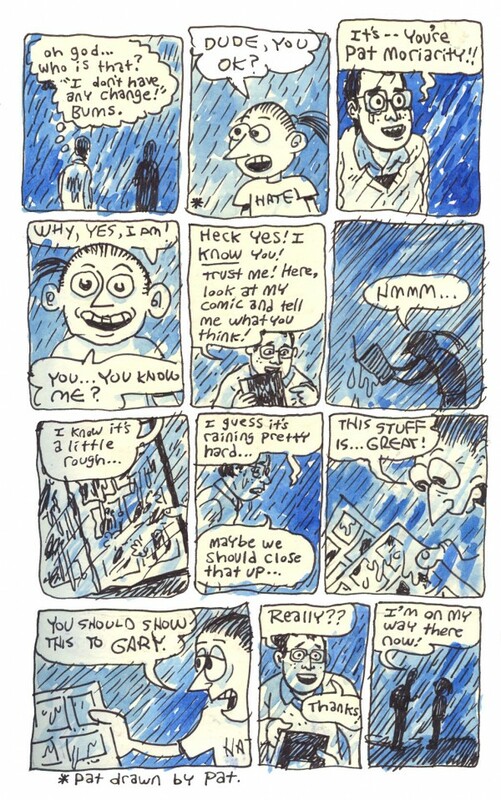 Page twelve may be the funniest scene in any comic featuring Gary Groth, and Groth has been depicted by some all-time cartooning talent. 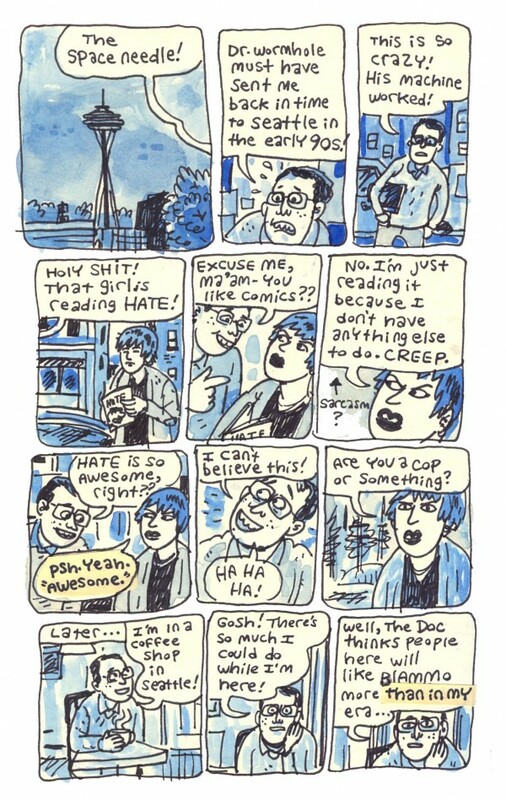 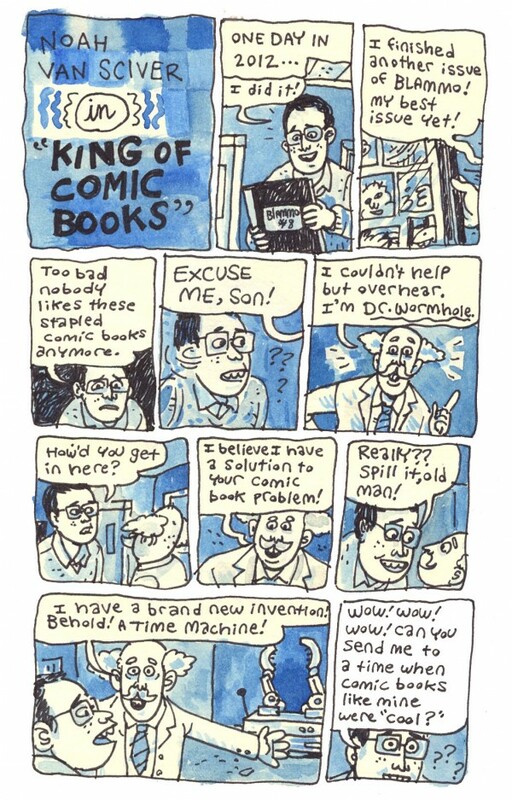 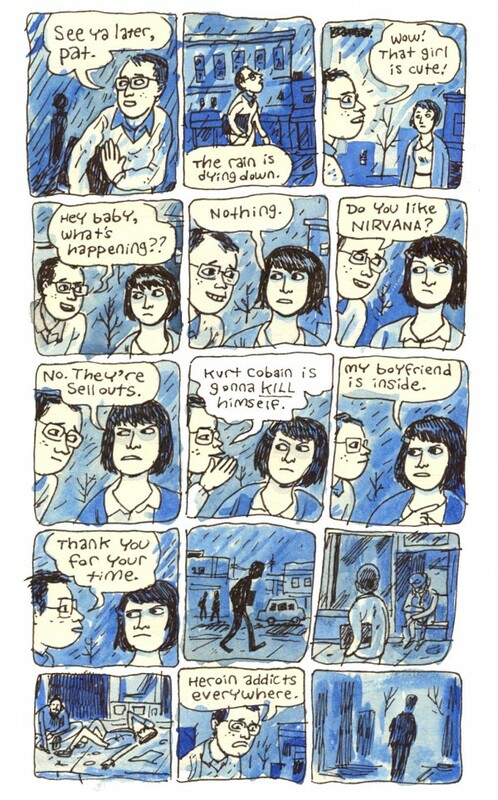 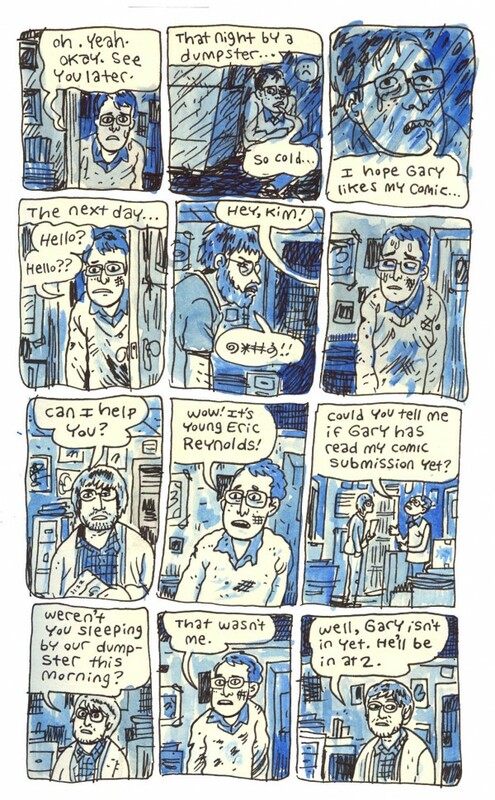 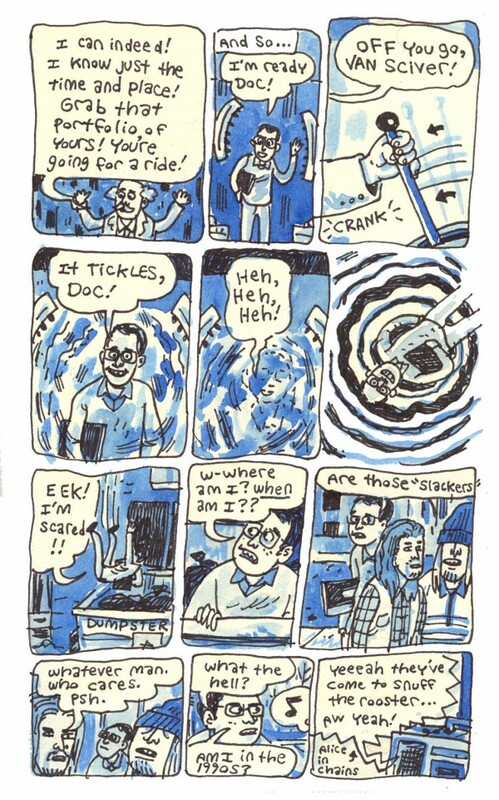 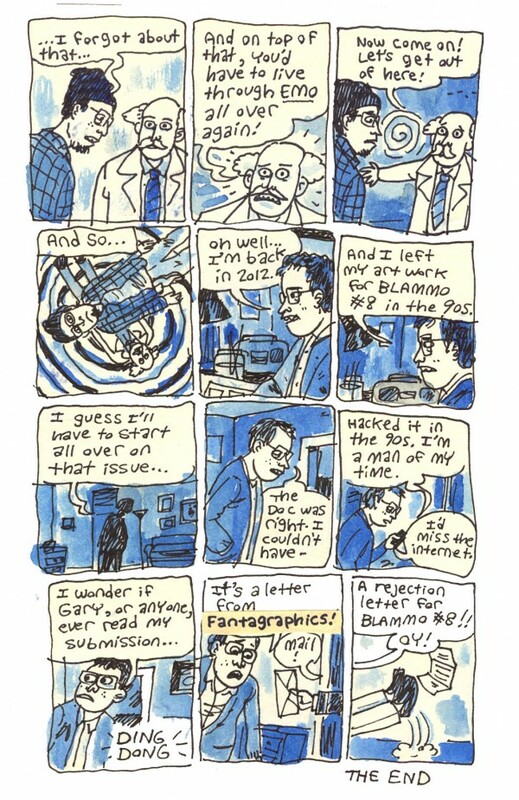 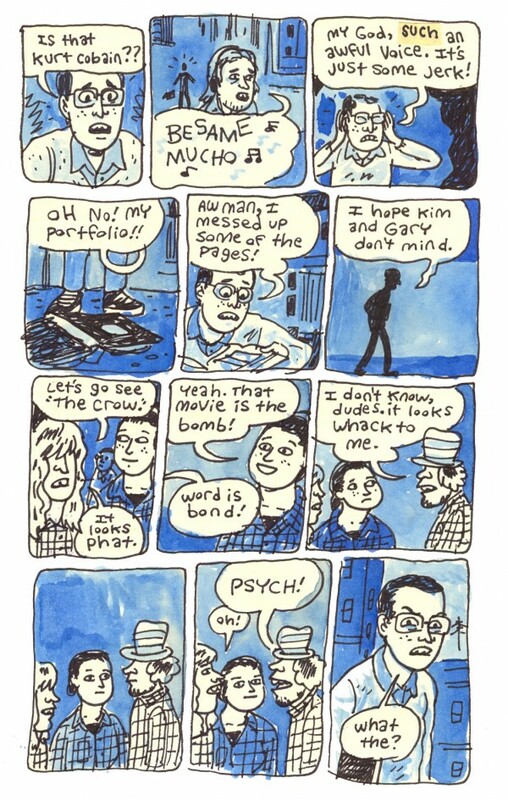 In addition to exploring the site linked-to through his name in the first sentence of this introduction, you should try Noah's very fine comic from Fantagraphics, The Hypo.